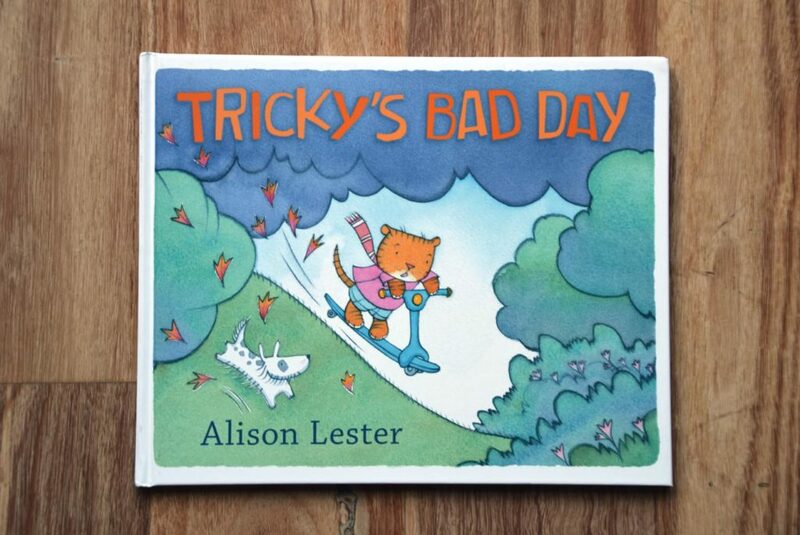 This book review is a bit unusual for us because Tricky’s Bad Day is a children’s picture book. This book has been well written and well illustrated by Alison Lester and as a hard cover book it makes a great gift idea. What I like is that its a great reminder for kids and adults alike that if you’re day isn’t going so well, get outdoors and go on an adventure. Your problems won’t seem anywhere as big as they did before. The central character in the book is Tricky (short for Patrick) who just can’t seem to get things to go his way. This book is a warm and funny story about the chaos within the life of a young family and the freedom that comes from an outside adventure. Poor Tricky! Nothing is going right for him. Milk spills, pyjama buttons won’t work, his little sister wrecks their game, and when he tries to help out, everything gets worse. Tricky’s having a very bad day! I really liked this book because its the lesson we need to learn and remember and be reminded of throughout our life. Its the picture book version of taking a step back, looking at something through a different lens or raising our gaze. So no matter what the weather is doing, get outdoors and your view will improve! Nothing – the kids will love it and you will love reading it with them!